Governor Walz and Lt. Governor Flanagan called for all Minnesotans to make sure "We Count" everyone come Census Day 2020 - April 1, 2020. 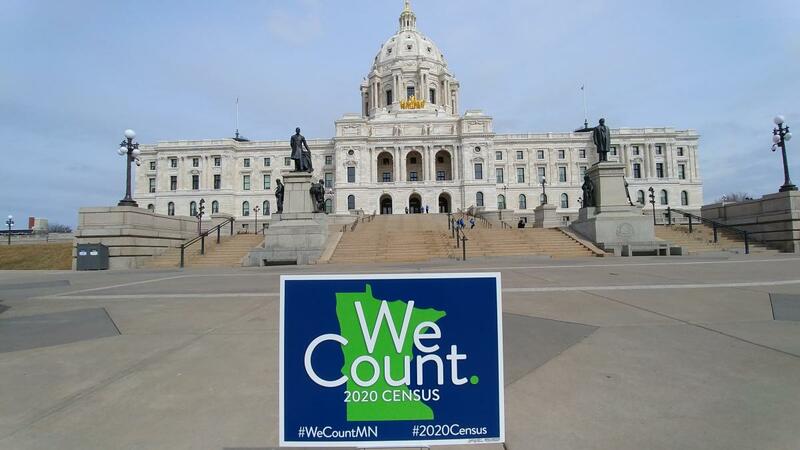 MCF, Minnesota Census Mobilization Partnership, and others joined with the State Department of Administration and state demogragrapher's office to get the word out about the 2020 Census and to launch the state's We Count campaign. The media showed up. If you want to know about why the census is so important to Minnesota take look at what the media reported: MPR - One Year from 2020 Census A Push for More (State) Money, Star Tribune - Effort to Ensure Fully 2020 Count Begins, Associated Press - Walz Helps Launch Yearlong Awareness Drive for 2020 Census, KSTP-TV - Billions of Dollars; House Seat on the Line for 2020 Census. There was more, but you get the point.